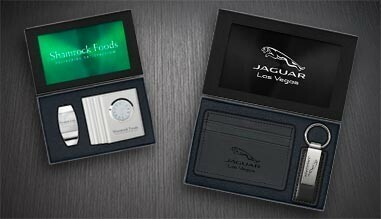 Your business always displays the highest levels of professionalism and quality, so when it comes time to reward your top employees or clients, choose a stylish, personalized gift set that perfectly demonstrates that commitment to excellence. Sutter’s Mill Specialties has an incredible selection of customized gifts, laser-engraved with your logo, and available in a wide variety of high-quality products, from imprinted desk and tech items to custom-branded automotive accessories. When the time comes to reward a stellar employee or dedicated client, go with an elegant desk accessories gift set from Sutter’s Mill Specialties. With options in multiple styles and colors, from personalized business card holders and desk clocks to custom key tags and engraved pens, these beautiful gift sets contain the perfect additions to any office. Whether they’re tech-savvy or not, your clients and employees use technology every day. That’s why they will love these cutting-edge, high-tech gift sets from Sutter’s Mill Specialties. 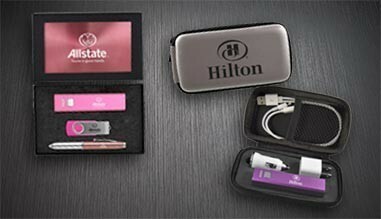 Featuring laser-engraved power banks capable of charging devices quickly, personalized, portable flash drives, stylus pens, and many more high-quality items, these gift sets will be a huge hit. No matter the client or employee you’re looking to reward, we know you’ll find the perfect promotional gift for them in Sutter’s Mill Specialties catalog of accessory gift sets. From pocket flashlights to multi-tools, money clips to wallets, these high-quality items are available in beautiful gift boxes in multiple bold colors, and each item is expertly laser-engraved with your logo for a personalized gift that can’t be beat. Celebrate your excellent sales team or top clients with these stunning automotive gift sets from Sutter’s Mill Specialties. 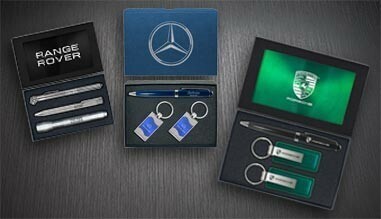 Carefully packaged in a beautiful, custom-branded gift box, these high-quality products range from laser-engraved keychains and key tags to personalized pens, wallets, and roadster kits. 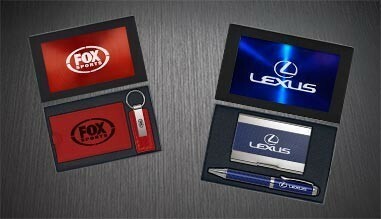 Reward your team with a corporate gift that perfectly blends elegance, functionality, and promotion.